If you’re an electronic game fan, you’ll want to be actively playing with your Riverwind Wild Card on Tuesdays in December! You’ll be eligible to earn Rewards Play at three times the rate beginning at 8 a.m. on Tuesdays, meaning it’s triple awesome to come play. Wake up Sunny Side Up with us! Anyone age 50 or over who earns 20 points on their Riverwind Wild Card from Thursday to Tuesday will receive a free meal at Willows Buffet and $20 in Wild Card bonus play on Wednesdays. The buffet is served from 7 a.m. to 4 p.m. and bonus play can be used from 8 a.m. to 2 p.m.
How does a brand new TV sound? Good? Good! For every five points you earn on your Riverwind Wild Card, you’ll receive one entry into our Watch and Win promotion. On Sundays, December 7, 14, 21 and 28, from 6 p.m. to 12 a.m., random drawings will be held and 15 TV’s valued at $780 will be given away each drawing night. Don’t forget to be here on Mondays, December 8, 15 and 22 for your chance to earn triple entries into our Watch and Win promotion! It’s going to be a Winter Wonderland of cash here at Riverwind Casino on Fridays, December 12 and 26. We will be giving away a total of $10,000 each drawing night! For every 5 points you earn on your Riverwind Wild Card from 8 a.m. until 12 a.m. on Fridays, December 12 and 26, you’ll receive one entry into our Winter Wonderland promotion. 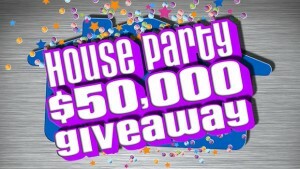 It’s time to ring in the New Year in a big way during our House Party $50K promotion! 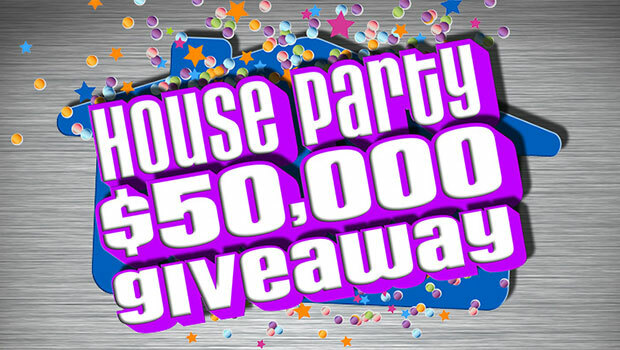 For every five points you earn on your Riverwind Wild Card, you’ll receive one entry into our House Party $50K promotion! On Wednesday, December 31 from 4 p.m. to 2 a.m., random drawings will be held and a total of $50,000 in cash will be given away. Make sure you’re here on Tuesday, November 25 and Tuesdays, December 2, 9, 16 and 23 for your chance to earn triple entries! Holy cow! That’s a lot of ways for you to win big this month. See what kind of rewards you’re missing out on if you don’t have a Wild Card? I’ll see you here for our first Watch and Win drawing on December 7 at the metro’s most rewarding casino!